Bags have become an essential part of our lives. We start our day by using carry bags and till end of the day we use them in countless ways. Give these bags a bright and colourful look. 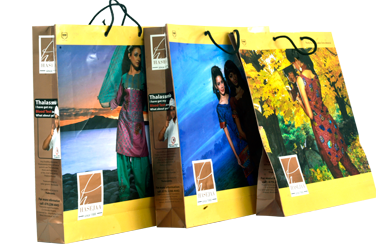 From single colour to four colur, from logo to any colurful picture printing … wide range of Bag printing services are available at Shreedhar. Let us print and make your bags 'Eye Appealing' whenever it goes.